This is another gorgeous Antique Holy Card, shared by a sweet and generous reader named Kristie! I adore these lace edged cards, I have a number of these in my collection and they are so delicate and lovely! This one shows an amazing Engraving of the Madonna and Child standing on a Crescent shaped Moon. Beautiful! It is beautiful, thank you! Beautiful card. Thank you Kristie for sharing via The Graphics Fairy site. Since my real name is Stella and on here I’m Star, I can only thank you for this beautiful card! 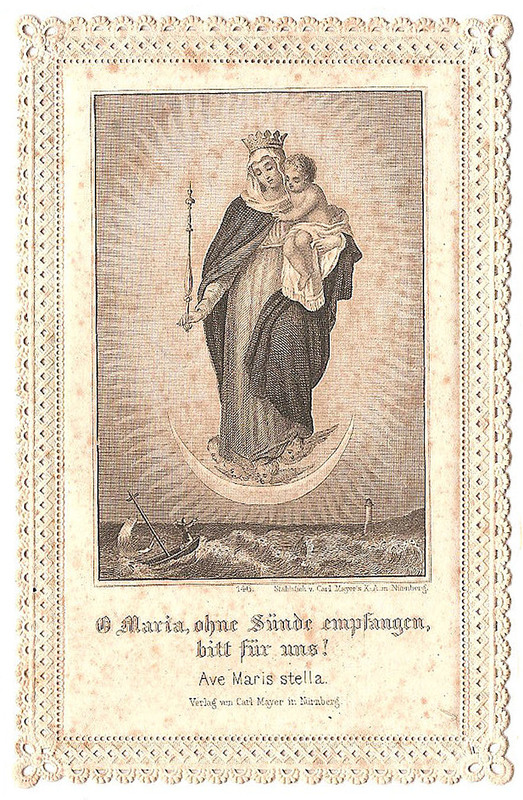 I am named after Stella Maris, the star of the sea, the Madonna just as depicted in the card. Aren’t I lucky to have such a beautiful name? I love the lace edge- thanks for sharing! This IS beautiful . . . 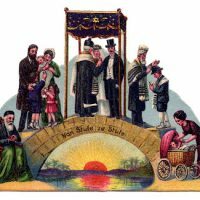 I have a few of these, given to me many years ago by my grandmother–they had belonged to her mother. I have always treasured them! 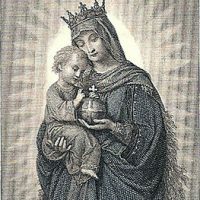 Thank you so much for these beautiful antique holy cards of Mother and Child. I now have an inspiration to create something wonderful from them for my friends for Christmas! As a Catholic, these cards are especially fitting and perfect for the Christmas season.